Best Buy will sell HP TouchPads at clearance prices -- if any are left -- after reports that the retailer was sending its stock of the tablets back to the manufacturer. 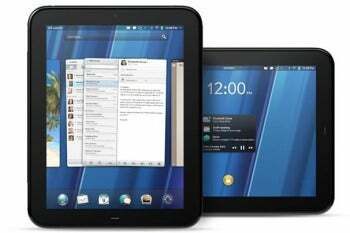 Hewlett-Packard has said it will discontinue operations for WebOS devices, and throngs of shoppers have been searching for the HP Touchpad ever since it was heavily discounted on Friday. While the units were originally offered through BestBuy.com in Canada, they soon sold out online. In the U.S., Best Buy retailers were telling people they were sending their stock of the tablets back to HP, leaving those customers out of the feeding frenzy. While still not offering the tablet online, Best Buy has apparently changed its tune, saying on its website that it will sell any HP Touchpads it still has in stores at the discounted prices of $99 for the Wi-Fi-only 16GB device and $149 for the 32GB version. Best Buy isn’t promising it actually has any TouchPads remaining in inventory, but some people might find one once stores opened Sunday. If you do score a TouchPad at Best Buy, you won’t be able to return it and the one-year manufacturer’s warranty is good only through HP and not Best Buy. Let us know if you’re one of the lucky ones to find a HP TouchPad at Best Buy.